Any student of ancient history knows science in its earliest iteration posited that everything around us was made of earth, air, fire, and water. Scientific progress has shown us the elements now number more than one hundred, but what if (oh, that favorite prompt for a writer) in a future dystopia the manipulation of earth, air, fire, and water are so important the government sends adolescents to special schools to hone their skills? A teen, or Elemental, usually exhibits a talent for one of the four elements but can be taught to manipulate them all, though not to the same degree as their primary element. It’s rare that a person can manipulate all four equally, so rare, in fact, the person who can do that is marked for death. There’s a hunt for a mysterious object (or person?) called the Vale, a bad guy who makes you believe Voldemort is back and worse than ever, and a young woman experiencing all the usual struggles with her parents but has them amplified because of her burgeoning ability with the elements. That’s a quick and dirty outline of the very complex Mark of Four, book one of the Guardian of the Vale series by Tamara Shoemaker. Shoemaker puts every writer to shame. Earlier this year saw the debut of book one of a different series by her, Kindle the Flame, which has, wait for it, dragons. Really cool dragons. And this from a person (me) who previously thought Tolkein and Anne McCafferty were the be-all for dragon-writing. Mark of Four is a quick read, though unfulfilling in the sense that when you reach the end you’re left wanting more. For me, because I’m not a big YA reader, the amount of teenaged boyfriend angst was a bit much, but the writing is crisp, concise, and comely. The story flows smoothly, and Shoemaker delivers a helluva punch at the end. If you’re into urban dystopia with a good mixture of urban fantasy, this is a series you’ll want to start. This is where I pull you aside for the disclaimer. Shoemaker is a friend from a local writers group, but I asked to review Mark of Four and do an interview with Shoemaker, and she provided me a free ARC. Also, I recently hired her to do a line-edit on a novella of mine, and, well, her maiden name is Duncan, so we’re probably many times removed cousins. But, frankly, I only do reviews for people I know are good writers. Otherwise, it’s awkward. So, on with the interview. Just Who is Tamara Shoemaker? MD: Earlier this year saw the release of Kindle the Flame, the first book in the Heart of a Dragon trilogy. Now, we have Mark of Four, book one of the Guardian of the Vale trilogy. What about the trilogy structure do you find appealing? How do trilogies fit your writing style? TS: I love a good challenge, don’t you? Sure, it’s difficult to put a book together complete with character arcs and plot lines and no holes and no how-in-the-world-did-THAT-happen going on, but it’s a thousand times more challenging to extend that arc over three (or more) books. Each book has to have some sort of resolution or you’re going to have a very unhappy reader, and you still have to have enough unanswered questions to hook the reader into continuing to the next book. I find it super hard to make all these elements flow together seamlessly, but the exhilaration that comes when I feel like I’ve completed it successfully is hard to beat—similar to the birth of my children. The high at the end qualifies the struggle. Plus, I get so involved in my world-creation that I just can’t stop building the story. No one wants to say goodbye to a good friend. My characters live and move and breathe right next to me, day in and day out and through the nights for the entire writing process, so when it’s time to put the book down and declare it done, I miss them—they leave a hole in my life where they had lived so continually before. So I can’t confine them to only one book. Even keeping them within three books is pushing it. I’m sure I’ll probably be one of those authors that has a million spin-off books about the same world as the main trilogy, mainly because I miss my characters so much. MD: Mark of Four to me read dystopian, with elements of fantasy and sci-fi; Kindle the Flame is pure fantasy. What is the allure for you in writing both types of fiction? Which is “easier” or more seamless? Which genre makes you “stretch” as a writer? TS: I’ve always been a fantasy reader. When I was a kid and making my way through C.S. Lewis’ Chronicles of Narnia, and later, when I dove into Tolkien’s Lord of the Rings, I was laying a foundation for myself that absolutely cemented my love of the magic, the edges of reality, the worlds apart from ours. Who wouldn’t want to open their closet and step into a snow-filled winter wonderland? The thing I love about writing fantasy, whether it’s dystopian or urban or pure fantasy is that the limits are non-existent! The only rule is that that the story must make sense within itself. Anything can happen as long as the world you’ve created accepts it. There are no do’s and don’t’s—Well, if you’re going to have a homicide scene, there’s got to be a medical examiner; oh, you don’t want to include a medical examiner? Well, then you’ll need to cut the scene… and on and on. I keep looking at the differences between Kindle the Flame and Mark of Four. I wrote Mark of Four first, a couple of years ago, and Kindle the Flame, I wrote last November. I’ve had beta readers of both tell me that while Kindle the Flame was the better “technically-written” book, Mark of Four produced a better concept and connected with them more. It may have been just a matter of preference, I don’t know, but both of these writing styles challenged me dramatically. Kindle the Flame was my first foray into pure fantasy, and Mark of Four was my first into urban/dystopian. Either way, I grew as I built on the foundation I’d laid for myself as a writer and as I figured out how to build a world beyond the one in which we live. MD: When writing on one series, have you ever gotten it confused with the other? Have you extensively outlined each series? For example, I find myself having to go back and refresh myself on the sequence of events or character appearance, etc., constantly in my series. How do you keep them straight? Do you have a mental technique for “checking out” of one series while you’re working on the other? Do you miss one set of characters while concentrating on the other set? TS: I have to laugh. I’ve found, countless times, my ability to be working on a book, and suddenly stumble across a section where I drop my main character’s name in favor of another book that I had been recently working on. It never fails. When I was working on Mark of Four, I kept inserting “Rayna” instead of “Alayne.” (Rayna had been my main character in Pretty Little Maids.) When I was working on Kindle the Flame, “Alayne” from Mark of Four kept cropping up in place of “Kinna.” Before I complete any manuscript, I have to do a search for out-of-place names to make sure they don’t make it onto the final pages. That said, I don’t really have a tried-and-true method to check me out of one series and into another. Often, I will spend the first fifteen minutes of my writing time reading back over the chapter on which I’ve been working to get me back into the mind-set, but often that elusive “I’ve arrived” point where the words just flow from my fingertips doesn’t come until I’ve been writing at least an hour. And in my life, at this point, an hour of consecutive writing time is hard to come by. For months, I feel like I’ve written piece-meal. I don’t care for it, but I do what I can until I can figure out how to get life to calm down a little. MD: Which writers are your fantasy influencers? Dystopian influencers? TS: I fell in love with The Hunger Games trilogy, and I really enjoyed Divergent, though I didn’t like the second two in that particular trilogy. A lot of the elements in Mark of Four were inspired by some of what I enjoyed in those books. Primarily, though, Harry Potter has been my main inspiration in any fantasy I write. There was something so fascinating and epic about the interwoven, complicated back-story of Harry’s past. Tolkien will always be an inspiration to me; the world-building in his trilogy has forever fastened itself into my imagination, and grappling hooks couldn’t remove it. So, here’s to you, Tolkien, Collins, Rowling, and Roth. MD: In both series but in Mark of Four in particular, you have characters making the transition from the YA age group to the New Adult age group. What about this age and the transition appeals to you? What, if any, are the drawbacks to writing that age group? TS: There’s something about stepping into a new stage of life as a fresh-faced innocent that really appeals to me. High school into college is a huge deal; you’re essentially putting your eggs into the world’s basket and jumping off the cliff hoping for a perfect omelet at the bottom. The Guardian of the Vale trilogy spreads a little over two years, so by the time it closes at the end of book three, Alayne is nineteen, and in the two years of the story has lived a lifetime. I love the journey and the discovery of maturity–from the fresh-faced to the wisdom of experience. It’s riveting. If there is a drawback to writing YA, I’ve felt, at times, that it would be so much easier if Alayne could just settle down a little, use a head that has had thirty years of experience thinking through things, but that’s not who she is. So she pulls me into her seventeen-year-old mind, and I get to relive the ups and downs and angst and flip-flops of that period of my life all over again. MD: In your words, what about your work makes it appealing to those of us much older than the age group you write about? TS: One of the things I love about the reviews I’ve gotten on Kindle the Flame thus far and the advance reviews on Mark of Four are the ones that say, “I don’t normally read fantasy, but I loved this one.” Something in my work appealed to these people that didn’t particularly seek out this genre or the age group that is the target audience. I like to think there are themes that resound with all of us, young, old, and in between—the confidence that comes when you figure out who you really are, the importance of things like family and friendship and loyalty and love. When those themes are in my books, even when they’re being experienced by a teenager, older and younger will still connect with those themes, because they’re an experience of life, throughout life. 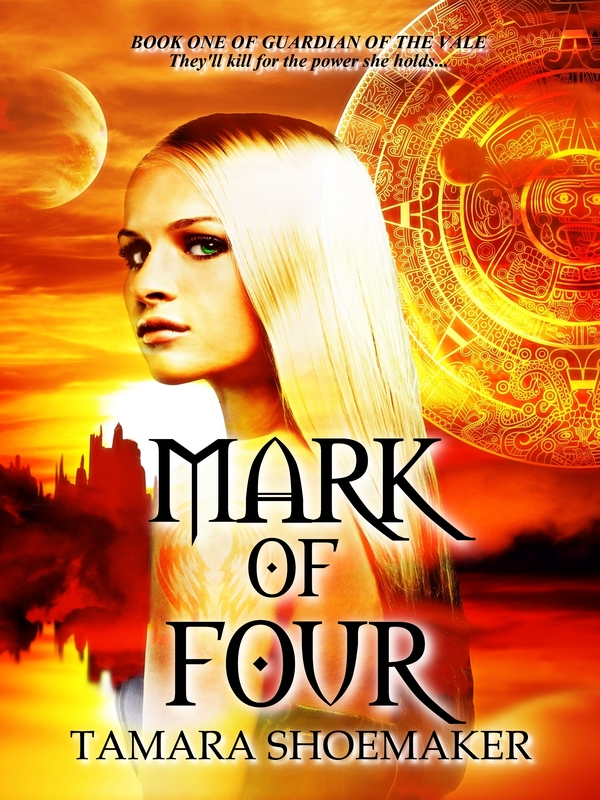 MD: Mark of Four, for me, had elements of both the Divergent series and Harry Potter. Was that a deliberate homage or a happy accident? TS: Haha, you got me! When I wrote the book, I had only recently read Divergent, and of course, I’m a life-long (or at least years-long) fan of Harry Potter. After I read Harry Potter, I thought, whimsically, if I were to ever write a book, I’d want to put a school in it. Hogwarts, to me, was the fascinating place that was the center of Harry’s story, and I wanted to create a school that would be the central crux of whatever story I was going to tell. Of course, my story went far wide of Hogwarts, and took on a new shape as I explored the possibilities of what it would be like to have “Elementals” control one of the four elements (air, fire, earth, water), and a school that would train these fledgeling teens how to perfect their craft. It was loads of fun to come up with class names (Points of Motion-Stop, Water-Currents, Throw-Casting, etc.) and the settings for them. MD: Without giving too much away, what is the take-away message from Mark of Four and the Guardian of the Vale series? TS: When Alayne enters the story at the beginning of Mark of Four, she’s a clueless seventeen-year-old who has a strained relationship with her mother and is struggling with identity. Who is she and why is she who she is? By the end of book three of Guardian of the Vale, confidence has bloomed within her. She knows who she is and her purpose for being there. She’s met her fears head-on and has conquered them. To me, that’s one of my favorite parts of her character arc; it’s inspiring. It inspires me to be confident in who I am, and I hope, at the end of the day, that Alayne can be an inspiration for her readers. Shoemaker’s characters and her writing are inspiring, as is her work ethic and how she juggles her writing with a growing family. She is a writer worth getting to know. We’re approaching the end of March already. My, how the year speeds by, and here I am with a weekend more or less free of literary conference/workshop pursuits. Don’t worry, that changes next weekend with the annual Tom Wolfe Lecture Seminar at Washington and Lee University in Lexington, VA.
And March is defying all mythology of coming in like a lion and going out like a lamb. It came in like a lion, behaved like a lamb for a few days, then dumped a spring snow storm on us at the beginning of this week. All gone now, though it was pretty. Annoying but pretty. I have a stack of recently purchased books to read and taxes to do, but what’s that compared to Friday Fictioneers? And apparently snow-pocalyses in March put me in a dystopian frame of mind for this week’s story, “Doom and Gloom.” If you don’t see the link on the title, scroll to the top of the page, click on the Friday Fictioneers tab, then select the title from the drop-down list. I cleaned up the web site a bit this morning, so you don’t have to scroll through so many stories. Let’s cross our fingers for Spring’s quick arrival so we can enjoy some perfect weather before we start complaining about how hot it is. And if you missed Wednesday’s short post about a recorded interview with me at The Bookcast about my book, Spy Flash, click here to have a listen. Yes, you’ll get to hear what I sound like and note that I used “um” and said “exactly” too many times! If you’re an indie author needing some publicity for your work, check out The Bookcast. 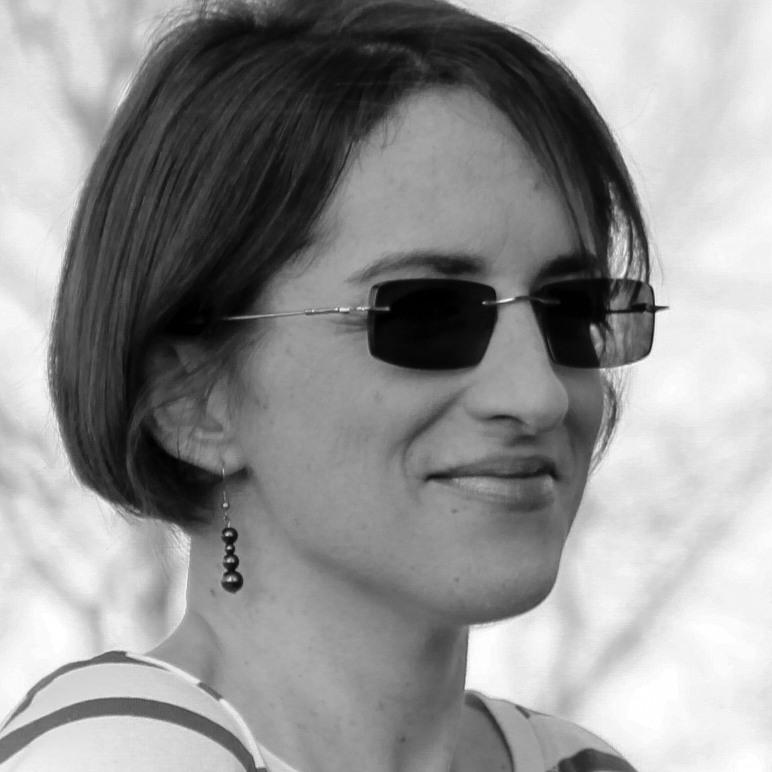 A nice interview with me–nice in that Jo made it very comfortable–about my writing process and works in progress appears at Writer’s Block. If you don’t see the link, click on “About Me” above and you’ll see the link there. My thanks and gratitude to Jo Harrison for the interview. In my years as an aviation magazine reporter and editor, as a manager, and now as a sometimes newspaper feature writer, I’ve interviewed a few hundred people. The aviation folks were easy; we spoke a common language. Interviewing prospective employees meant a prescribed set of questions for each applicant, and my recent work writing features means researching some things (like blacksmithing) before I conduct an interview. Being on the other side of the interview–the one being asked the questions–is even more daunting. Did I say the right thing? Did I really say that? Am I always that inarticulate? I had some trepidation when an interview with me was to be published at James River Writers’ web site. It just goes to show, even with interviews, having a good editor is important, so many thanks to Melissa P. Gay, author of the blog This Common Reader, for making me sound as if I know what I’m talking about.